Simplelists is designed to be quick, easy and simple to use. It also has a collection of powerful features for users who want more from their email management software. In this short post, we remind our customers of the power of Simplelists and let those who are thinking of joining us know about the range of features available. account and then add people to your list. All you need is their name and email address – you can add people manually or in bulk from a spreadsheet or CSV file. Once a person is added, they will appear as a list member. You can also download your list members’ details to a spreadsheet with a click of a button. You have the option to choose who can send messages to your list. For example, you can allow all members to send emails, select members who can send messages, or make sure it is just yourself that can send messages. You can also choose whether replies are sent to the whole list or just to the person who sent the original email. To ensure quality emails are circulated, you can opt to approve and moderate emails before they are sent to the list. The size of emails can also be limited, and attachments can be stripped if required. You can let list members’ email addresses be seen, or keep them hidden from other members. Other features include: the ability to add a personalised footer; send your emails in HTML rather than plain text; and personalise your emails by automatically adding details such as the recipient’s name in the email. Once sent, you can archive your emails and access them from a custom website at any time. If you have a busy list, daily digest summaries are a useful feature – instead of receiving emails when they are posted, members receive one email every 24 hours. You can choose whether new members can join your list when they wish, or whether this requires approval. Similarly, you can set unsubscribe options, allowing members to leave your list when they choose. To allow members to join your list easily, you can add a subscribe form to your website (this form is fully customisable so you can match it perfectly to the design of your website) and you can easily replace the Simplelists branding with your own logo or branding on all landing pages (where members go when clicking on email/form links). An API is available to enable you to synchronise your Simplelists account with other websites and a multiple list account can be integrated with your domain so that users receive emails from your domain rather than Simplelists. When an email to one of your list members bounces, you will receive a message to let you know. To save you time, list members with email addresses that bounce messages repeatedly can be removed automatically from your list. If a list member marks your email as spam, they will automatically be removed from the list. 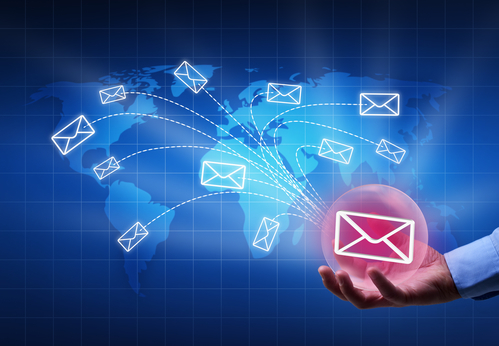 This ensures that emails are not repeatedly marked as spam, keeping delivery rates high. Once your list is set up, you can email everyone on your list from your normal email address. Just send them message to [yourlist]@simplelists.com. It really is that simple. If you would like to try out Simplelists, you can sign up for a free single list account today. This entry was posted in Features and tagged email list, email list management, email management software, simplelists features by Simplelists. Bookmark the permalink.